Another Black Friday under the books! I was actually good this year though and I only went over a few bucks from my budget. 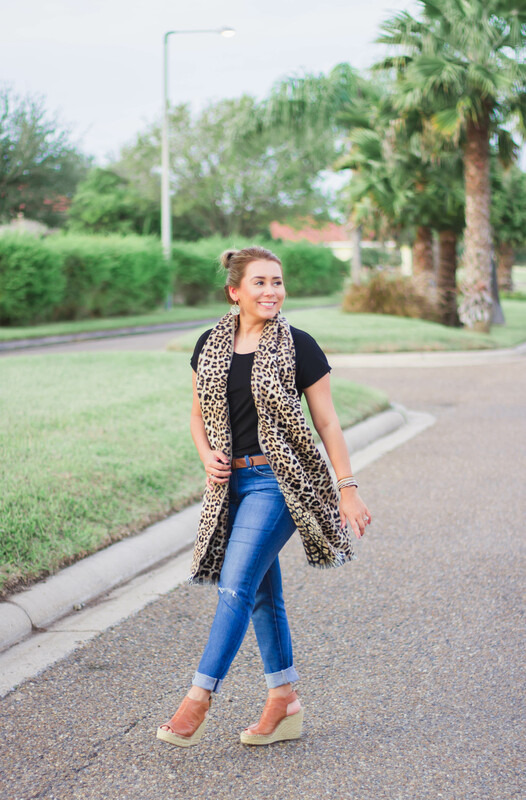 It’s so easy to go crazy when you are shopping, but it’s always important to keep a budget in mind so that you don’t regret or feel bad about purchasing an item. I think the hardest part about Black Friday shopping, is the fact that you have to remind yourself that you are shopping for others and okay maybe a little for yourself, LOL. Over the weekend, Michael and I got to do a little shopping for the house and we haven’t done that in a long time since he’s started football season. It was nice to have him by side and helping me pick items for our home. Even though he kept saying, “Robin put that back we don’t need it” his presence was greatly appreciated. 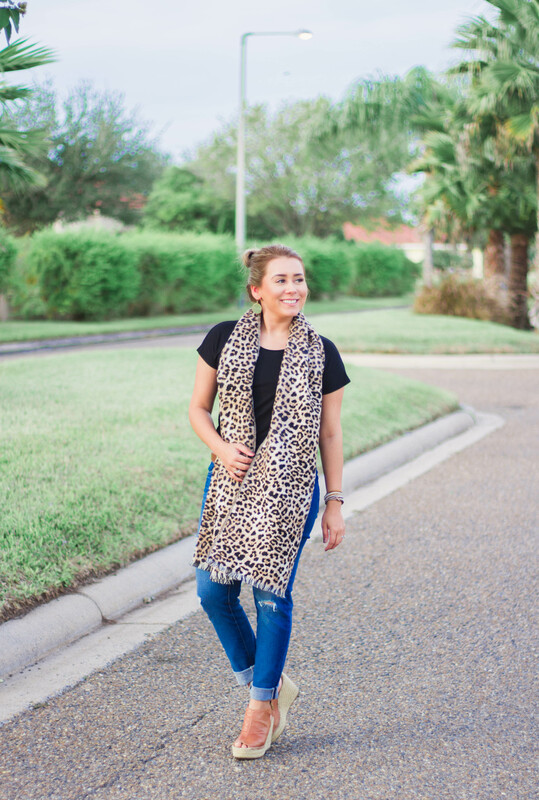 While we were out, the weather was nice and chilly so I decided to style my plain black tee with this cute leopard scarf I bought last year. 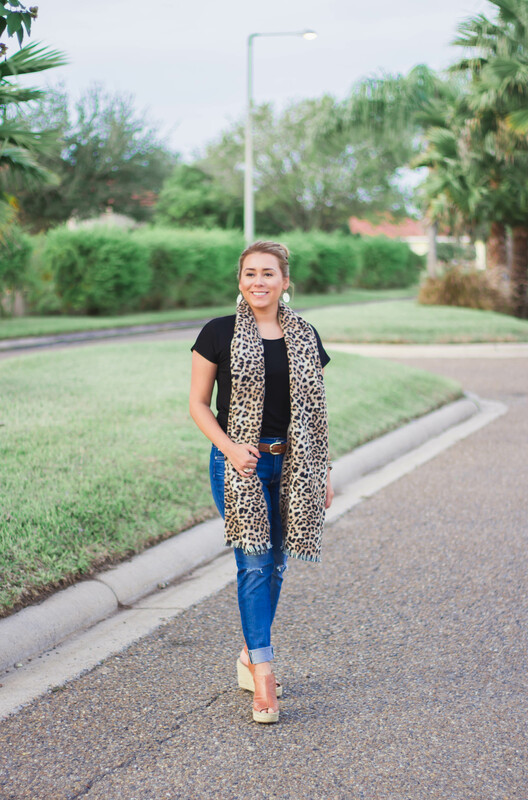 This has to be one of my favorite scarfs, because it is just so easy to wear with different outfits. 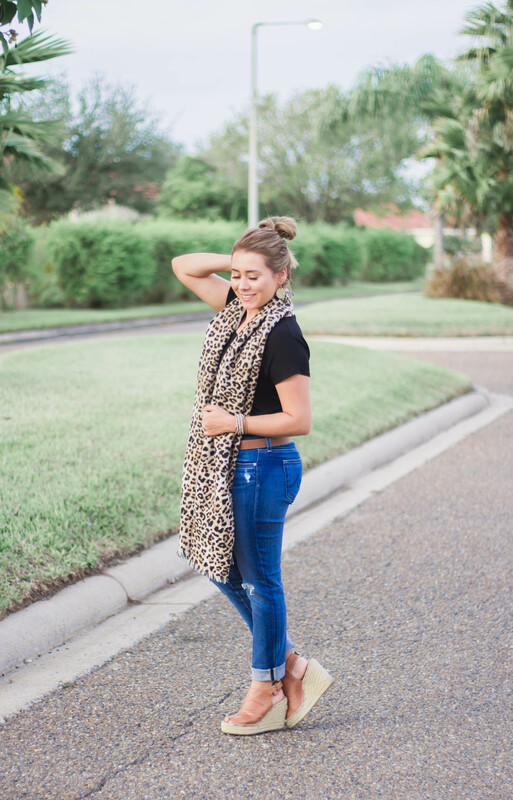 It’s crazy how accessories, like this leopard scarf, can easily make an outfit. 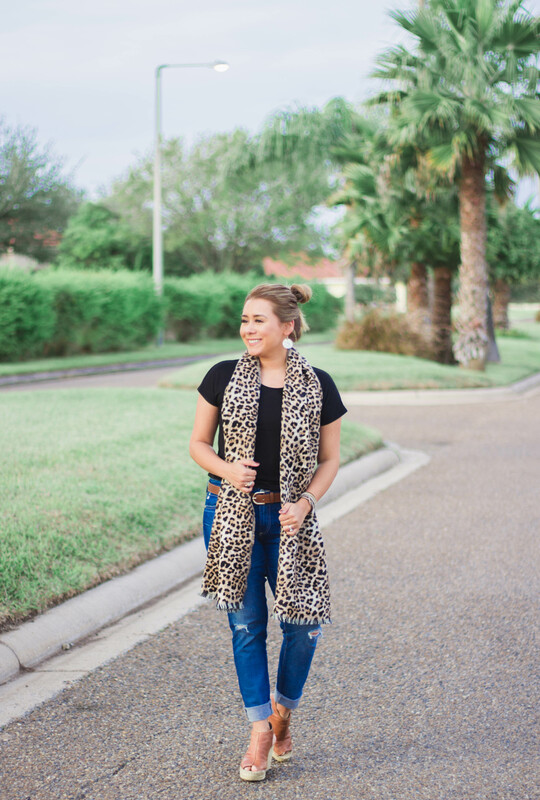 Below you can find similar leopard scarfs for under $25 and I added a few at the end that are over $25. 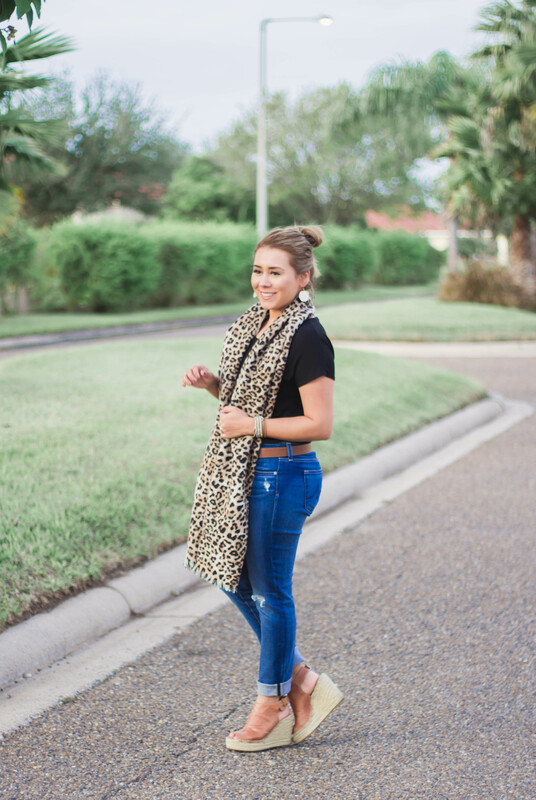 I hope you enjoy this simple, but cute look I shared with you today! By the way, what was your favorite purchase from Black Friday? Better is a little with righteousness than vast revenues without justice.